Kathgodam Lords Eco Inn, is the smart new boutique hotel located close to the key corporate hub Sitarganj and in the foothills of Himalayas, provides comfortable stay to the visitors. A warm ambience and an array of memorable touches served by a team of dedicated professionals to make the stay more memorable. 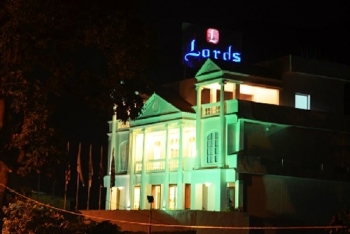 Lords Hotels is a chain of distinguished and independently owned 3/4 star true value hotels inns and resorts, each with its own unique personality, artful furnishing and locations. Lords offers luxurious accommodations at budget prices for the discerning business traveler. The hotel Lords Eco Inn is located just 1.5 kms (approx 10 minutes) from Kathgodam Railway Station and just 1 Km from Bus station. 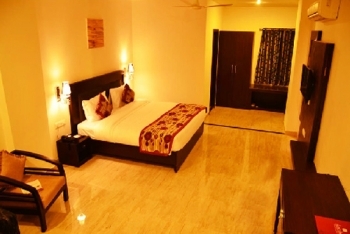 There are 29 luxury rooms and suites in Hotel Lords in Kathgodam, each room features an array of modern conveniences such as LED Flat screen Television, in room Electronic Safe, Electronic access room lock system, impeccable bathroom amenities and seamless Wi-Fi connectivity. There is a 24 hours in-room dining, contemporary ambience & the multi-cuisine signature “Blue Coriander” restaurant will cater to all the needs of modern business travellers. For business meetings & family functions, get-togethers it offers mid size to large banquet halls to accommodate as many as 500 people.